The Cherry Mama: Summer's last hurrah! A Mens Tee Refashion, For A Girly Tank. Summer's last hurrah! A Mens Tee Refashion, For A Girly Tank. I love July, I have mentioned this before. But just as Summer is in full swing it's the beginning of the end. Fall fashions hit stores, back to school supplies appear, and it's miserably hot. Then there's Indian Summer that ruins all those plans for those new transition outfits for Fall. It's also tempting to hit those Summer sales, but I don't want to blow my fall budget of stuff that has an expiration date on it. In 'keeping-mommy-busy' tradition I extended my wardrobe with this really fun refashion. I had found a simple tutorial, but I didn't do much with it at the time because I didn't have any shirts to use. I wanted something a little more fitted and feminine. 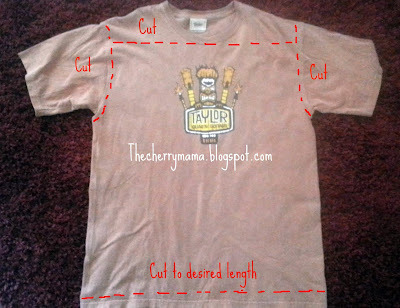 So I added a couple of more stitches, and some special detailing and hurray: A men's tee fit for a woman! After a trip to the the thrift store I was ready to go! Because I was making a more custom fit I didn't worry about the sizes. I just hit up the mens tee's and found some cuties! 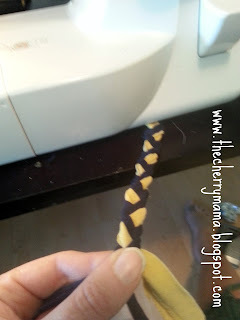 Save your scraps, there are many ways you can make the tie! 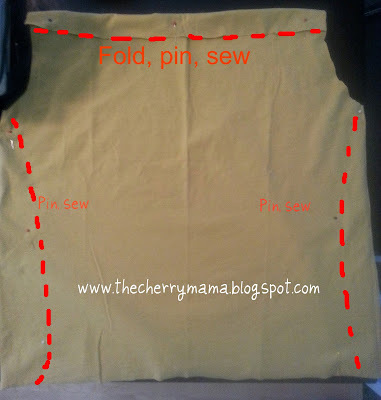 You want to fold enough over to thread your strap through, depending on if you are doing a braided tie or just a cutting from the bottom. I tried it on and pin the sides for a custom fit. I didn't cut off the extra until I was done (with a few more fittings)! Theres a few ways you can make your straps. 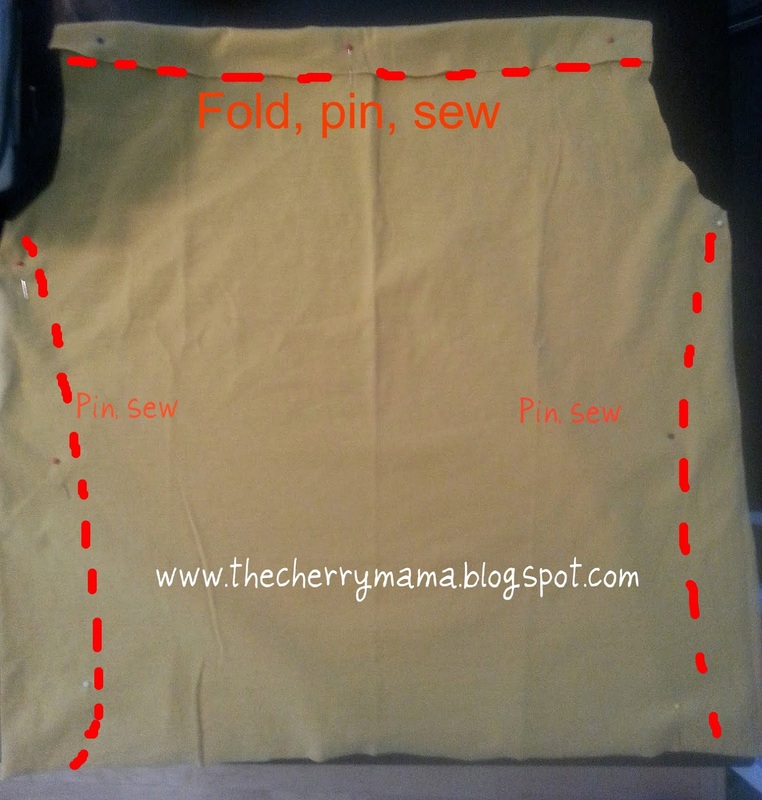 You can use the strips off the bottom, cut, thread and tie. I used the sleeves and cut them in a spiral to get one long piece, and then braided. I used up all my sleeves from other shirts to do this. Got some great color combos! Recognize the fabric? Leftovers from the Rag Rug Project. Added some cute wooden beads too. 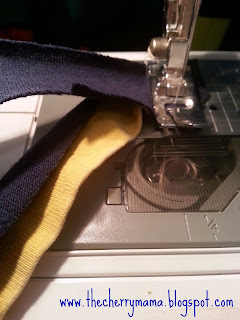 Other small details you can do is some ruching on the sides to make a banded bottom. Sometimes tee's have logos on the back. I cut it out so I could add it back to mine. All that leftover tee shirt material= cute bracelets.